Average values for August in the fleet and lease sector reached the highest average monthly value recorded at BCA. The firm’s latest Pulse data reveals that fleet and lease values improved by £48 in August to £10,534, equivalent to a 0.4% rise. Retained value against original MRP (Manufacturers Retail Price) improved slightly to 42.70%, whilst year-on-year values were up by a significant £644 (6.5%), as both average age and mileage continued to reduce. 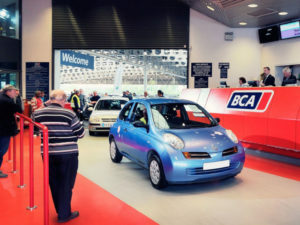 Average used car values across the board rose by £122 (1.3%) to £9,084 over the month – the second highest average monthly figure on record at BCA – while year-on-year, the headline figure was up by £742, equivalent to an 8.89% increase in average values.